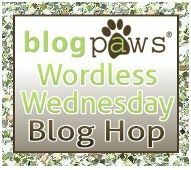 Bringing up Bella: Not Entirely Wordless Wednesday 113 - Happy Thanksgiving! Not Entirely Wordless Wednesday 113 - Happy Thanksgiving! Bella, Jan and I would like to wish all our friends here in the States a very happy Thanksgiving Day tomorrow. May you be surrounded by family and friends and lots of love. And we want to wish our friends who are not here in the States a rather lovely Thursday also filled with family, friends and lots of love. Thank you all for your friendship and support over the years. We have much to be thankful for, not the least of which is every one of you. May all your holidays be joyful. Happy Thanksgiving to you three as well!! Happy Thanksgiving to you all too :) Have a splendid day! Those flowers are gorgeous! I am so jealous you still have so many blooms! It does me well to look at so many colours while I am immersed in a world of grey and white. Thank you for that. Aww. That was sweet. Happy Thanksgiving! Thanks for stopping by. I didn't realize you were in a contest to win your dream dog park. I saw (and voted!) for your video - it was fantastic! I'll mention it in my follow up Friday post to come. Good luck! Thank you for your support! You can vote daily until 12/5! We are so excited!! !